Thankfully there are brands like Innovet, a maker of Pet CBD products to help with pet health and wellness. Innovet Pet contributes their success as the number 1 pet CBD company in the world because of their focus on the customer. Innovet Pet is guided by their four principles: most affordable cost without jeopardizing quality, open and direct communication with customers through social media groups, providing 100% transparency and lab-tested results right on the products and website, and offering a 30-day money-back guarantee. 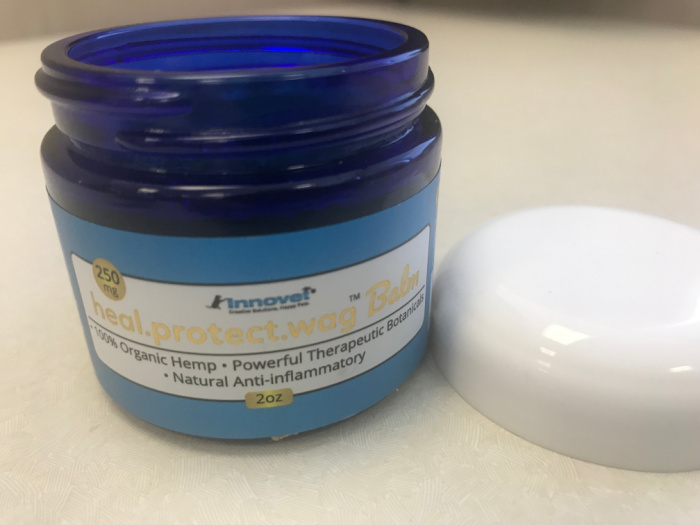 Innovet has expanded their hemp CBD pet line with the creation and release of heal.protect.wag balm. This balm is a multifaceted topical approach to helping pets with everything from mild issues like dry skin to chronic conditions such as degenerative joint disease. A no-mess consistency that absorbs quick delivering fast-acting relief. A multi-ingredient balm that’s safe for pets to lick and will still offer the same benefits. Non-oral application to give finicky pets the numerous benefits associated with hemp CBD oil. 14 research-backed ingredients that all target inflammation in some manner, giving customers a CBDtopical that helps target the source of everything from allergies to nociceptive pain. Direct application to alleviate discomfort in specific parts of the body. 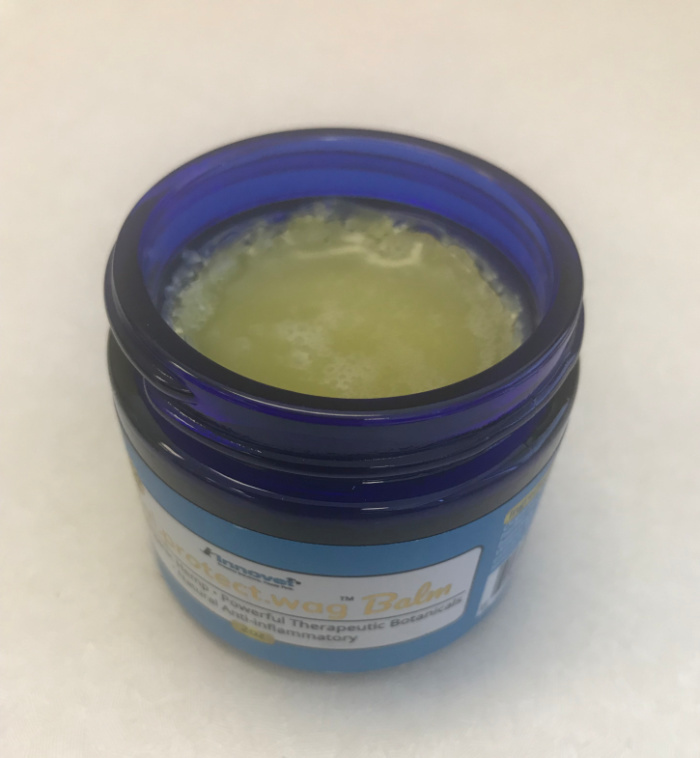 Innovet has focused on taking the time to put together a balm that solved the issues both they and their customers frequently saw in other CBD topicals. My Bella has a chronic skin allergy that has her continuously scratching and itching. While I understand that allergy pills or shots may help, I prefer to use something natural that will help reduce or alleviate her condition and give her some piece of mind and rest. 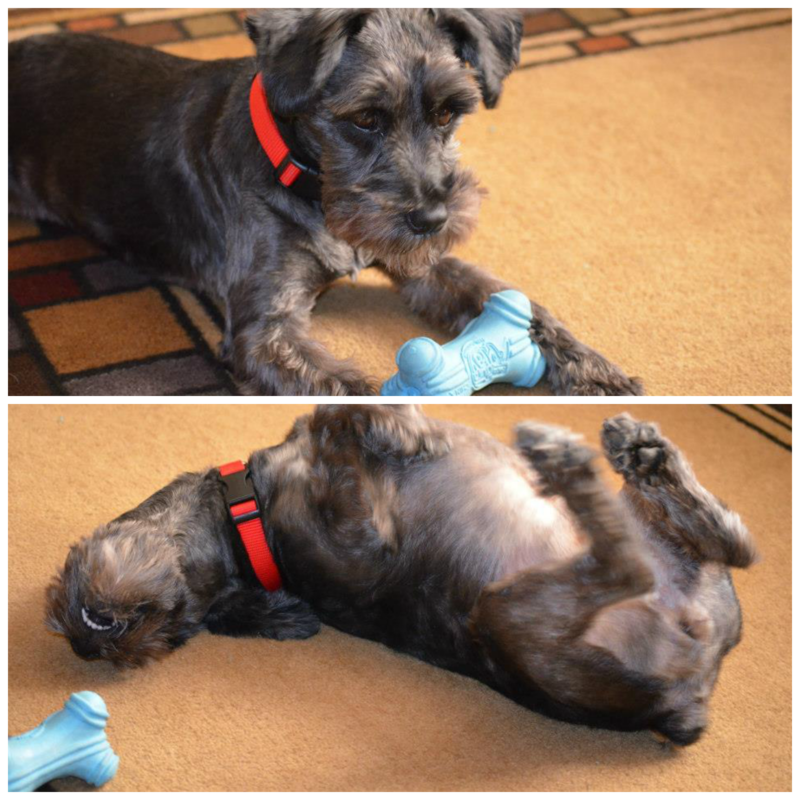 Be sure to check out Innovet for all of their pet products to care for your furbabies.